ON any given day that you walk past the Little Theatre on Tom Redcam Avenue in Kingston, you’ll notice a black flag fluttering in the breeze at half-mast atop the landmark theatre house. It’s to mark the passing of Michael Lorde, the estimable architect and veteran set designer who died at hospital on Monday after being ill for some time. Lorde was in his 50s. The Little Theatre was like a second home for the master builder, who’d been working with the LTM National Pantomime for over two decades, primarily in the capacity of chief set designer. And as members of the wider theatre fraternity will attest, his reputation preceded him. 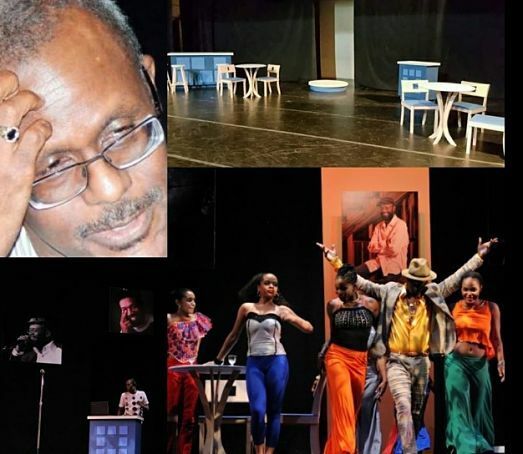 Over the years, he collaborated with a veritable who’s who of Jamaican theatre practitioners (from Basil Dawkins to the School of Drama faculty), winning a number of Actor Boy Awards along the way for outstanding set design. Lorde is survived by a number of relatives, including his father, his mother and a brother, who will be making the funeral arrangements.